Whip out your waffle maker and enjoy these crispy, light Belgian waffles for your next meal. Easy to make and even easier to eat, these waffles are a definite go to when you want a waffle for breakfast. In a separate bowl, mix all wet ingredients except the egg whites and then add to the dry ingredients. In another bowl, whip the egg whites to stiff peaks then gently fold into the rest of the batter. 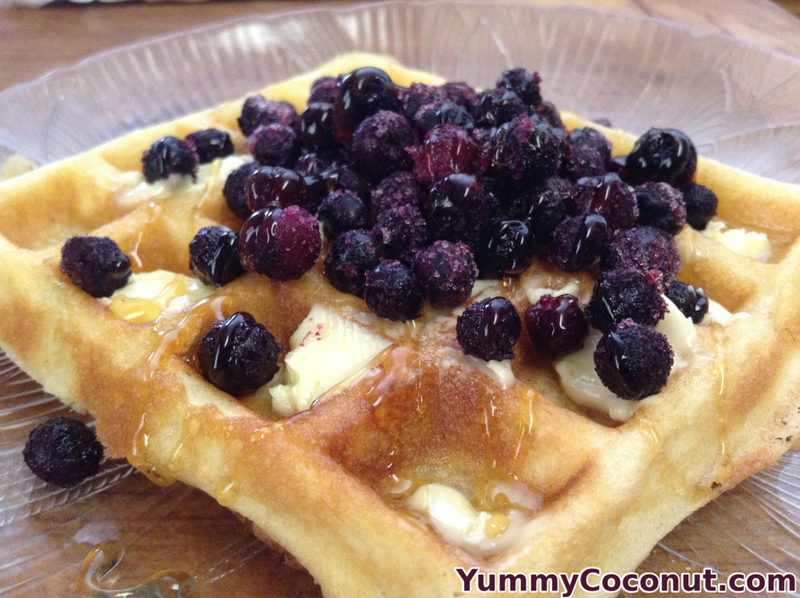 Cook in your waffle maker, remove, top with butter and fresh fruit then enjoy! Whipping the egg whites to stiff peaks makes your waffles light and airy. This also ensures that your waffles will be crispy instead of soggy. Make sure your waffle maker has time between cooking waffles to reheat, this will help to ensure that your waffles come out crispy. If you need to keep your waffles warm, set the oven to the lowest temperature and place them on a baking sheet in a single layer until you are ready to serve them. These waffles freeze well, just make sure to freeze them in a single layer or to place parchment paper in between the waffles prior to freezing. You can take them straight out of the freezer and pop them in the toaster or the oven to reheat them.